"As long as we remember, the brave live forever"
At the 11th hour of the 11th day of the 11th month in 1918, an Armistice was signed that ended the First World War. To mark the 100th anniversary of the end to fighting on the Western Front, Auckland will host a month-long commemoration programme starting from October 20. 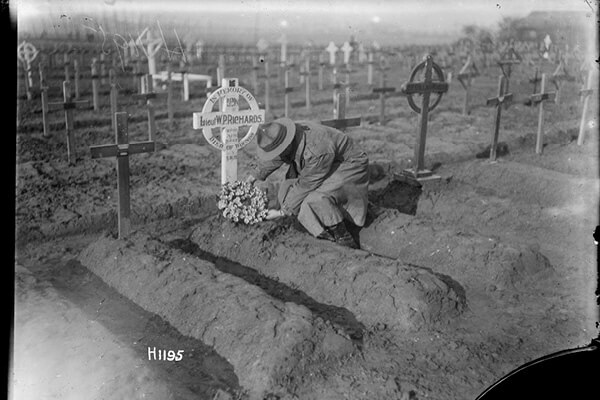 The Fields of Remembrance Trust has laid out a field, called the Memorial Field, with 18,277 white crosses, each bearing the name of a New Zealander who lost their life in the conflict. A separate field, called the Brothers Field, will remember those families who lost more than one family member – nearly 700 mothers lost more than one son. This field will be positioned by the lone Gallipoli Pine, surrounded by poppies. 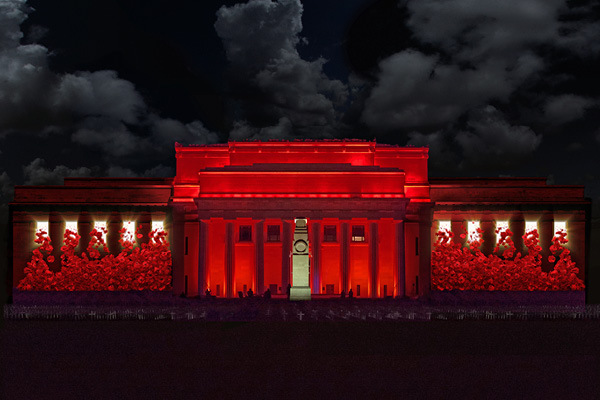 The crosses and informative light boxes telling stories of war and sacrifice will be on display at Auckland Domain in front of Auckland War Memorial Museum. Daily at 7.00am and 8.00pm: Sergeant Bill Rimmer, RNZA – from The Band of The Royal Regiment of New Zealand Artillery will performing the traditional bugle call the Reveille & Last Post at the Armistice Field of Remembrance, until 14 November. At the 11th hour of the 11th day of the 11th month in 1918, an Armistice was signed that ended World War One. Vector Lights commemorates the Armistice Centenary with a lighting and audio show. The 15-minute film sequence will be screened on Friday 9, Saturday 10 and Sunday 11 from 8.30pm until 11pm. The film includes specially-created content using poignant images from the Museum's collection showing faces of those who served in the First World War, alongside a moving poppy motif. The presentation will also feature a short film created by WW100, explaining how the impacts of WWI ricocheted around the world and can still be felt today. New Zealand will the the first in the world to mark the 100th anniversary of the Armistice, with Auckland hosting a major commemorative service at The Cenotaph on Sunday 11 November at 11am – acknowledging the time and date the guns finally fell silent. Join us as we pay homage to those who fell during the four years of World War One.